In the summer of 2007 three Israeli startup founder CEOs living in NYC - Yaron Samid, Yaron Galai and Yuval Tal - gathered to share war stories at a local coffee shop. Shortly after, TechAviv held its first meetup with Yuval demo’ing an early version of now unicorn Payoneer to a few more Israeli founder friends. The idea was simple - sharing our stories and products with fellow founders to get feedback and support. Often times just for an empathy only a founder tackling the same lonely job could provide. 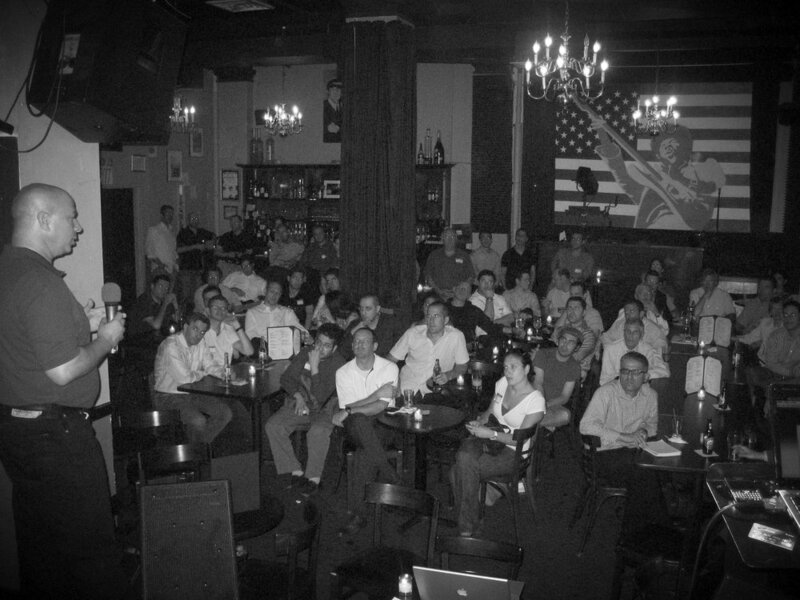 Over a decade and 150+ events later, TechAviv has grown, by invitation-only, to over 3,000 members spanning 6 global branches - Tel Aviv, Silicon Valley, New York, Boston, Los Angeles and London. We are technology startup founders in the arena. We meet offline and connect online with the same founding mission - to help fellow Israeli founders succeed by harnessing our collective energy, knowledge and networks. We give the stage to first-time founders, our most successful serial entrepreneurs, our favorite investors and industry icons. We have something to learn from everyone. We host talks, product demos, panel discussions, fireside chats, peer awards and intimate CEO lunches. TechAviv is a non-profit organization. Membership and everything we do is free. To become a member you need to be recommended by an existing member but all Israeli founders and investors are welcome to apply. First TechAviv meetup. August 13, 2007. NYC. Yuval Tal presents Payoneer.